Robocop 2014 – Is it any good? If the original Robocop was MS-DOS, then Robocop 2014 is the App Store. This will be a good or a bad thing depending on your tastes and how nostalgic you’re feeling. The newer version does still have a satirical edge, but it’s somehow managed to become downplayed by making it more explicit. Rather than showing how the world has changed through regular news broadcasts, we have Samuel L Jackson (who is clearly having an absolute ball) playing a Fox News style presenter, giving very biased news coverage. It’s fun, and reminiscent of Glenn Beck, but it doesn’t quite feel like it has the same edge. While it’s unlikely to be loved in the same way that the original movie is, it does have some teeth and it does have some interesting points to make. After all, we now live in a world with drones, which makes perfect sense as a military and robotic starting point for the kind of technology that leads to Robocop. If the original film was about a robot remembering what he was when he was a human, the remake is slower and (unexpectedly) more subtle. We watch his humanity being taken away from him in the name of compromise and corporate necessity, which also means that we get more of an idea who he actually is. While his home life is more than a little too perfect, it works better than it did in the original, where we get far more of an idea of Murphy as a cop than we do as a person. It helps that Joel Kinnaman is strong in the lead, and plays a more rounded character both before and after his robotification than Peter Weller did. One interesting thing that the update manages to do is to take the visual language of first-person shooters smoothly and comfortably enough that you shouldn’t be surprised if you find yourself wanting to reach for a joypad at times. Considering one of the ideas in the movie is that of Murphy being made to think he’s more in control of what’s happening than he actually is, that’s actually a particularly nice touch. This isn’t to say that there aren’t notes that miss wildly. The sleek new black design just isn’t anywhere near as iconic as the original, which is something the filmmakers appear to be very aware of – the film is topped and tailed with an updated version of the original design, as if they’re aware that it’s the one people want to see. Also, the black design is just unmemorable. It looks like a prototype action figure that hasn’t been painted yet. 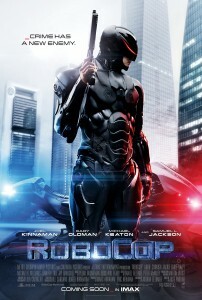 Also, when Robocop is on his new bike, it’s difficult not to think of the batpod with all the black armour on display. It’s frustrating at times, because it feels like it was almost really good, whereas it keeps hampering itself by not quite going all out. There are some scenes that definitely work, but there’s just not the sense of loss that there was with the original. Because the battle scenes are so fast, it’s difficult for much to have time to settle, and while the satire is definitely there, it feels like it was trying to be careful not to offend any of its targets too much either, which makes it feel rather muted at times. It took me a while to realise, but Michael Keaton is essentially playing Steve Jobs, which makes for some entertainment, and gives a little extra bite to the proceedings, but it doesn’t quite work as a target in the same way the original did. The original was about corporate ladder-climbing and greed, and this one is more about trying to meet targets and popularity ratings. But while it means that there aren’t quite as many annoying, suited bad guys, there’s still plenty to think about. At the end of the day, everyone seems like they’re having fun with the movie (especially Keaton, Jackson and Gary Oldman, who appears to be channeling Dave Allen of all people), and it’s well enough made to be worth your time. It’s certainly not a lazy remake, and there’s been a lot of thought going into it. I think that a lot of the critics that have been tearing into it since the first pictures came out would give it a lot more time if it simply wasn’t called Robocop. But as it is, it’s a reasonably good film that probably deserves better than to be dismissed out of hand. Whether you go to the cinema or wait for it to turn up elsewhere down the road, it’s a flawed but fun and interesting remake. It’s not going to grab people like the original did, but it’s a more than servicable update that primarily suffers from seeming a little bland in comparison to the rougher original. My biggest criticism is that I ended up wishing it could have just been a little sillier. Nosferatu is a movie with a past. It was almost entirely destroyed by Bram Stoker’s widow due to the blatant plagiarism from Dracula presented in the movie (in which, basically, the names were changed, and that was it). Various versions have been found over the years, leading to this latest, restored version. And it’s a beauty for the most part. If you haven’t seen Nosferatu before, it’s important to be prepared before you watch it. This is a film that is almost a century old, and should almost be approached as a historical artifact as much as a movie. After all, just about everyone involved in it is long dead. It’s a piece of the past to be savoured. The performances (especially from the main characters) are far away from natural, which can be very disconcerting to modern viewers. Also, there are special effects that have dated strangely. There are scenes where Orlok moves at high speed, which involves a mixture of sped-up film and stop motion. While this would have likely looked creepy and strange at the time of release, it’s now unfortunately reminiscent of Benny Hill. However, if you put the extra work in with watching it, it’s rewarding. It’s a splendidly creepy, beautifully shot piece of classic horror that centres around an almost-supernatural performance by Max Shreck in the role of Count Orlok which is so good that an entire movie was based on it decades later (The Shadow of the Vampire). It’s also the fully-tinted version, which is far less often seen than the straight black-and-white version. The movie was projected using tinted film in order to give scenes the impression of daytime or night time. 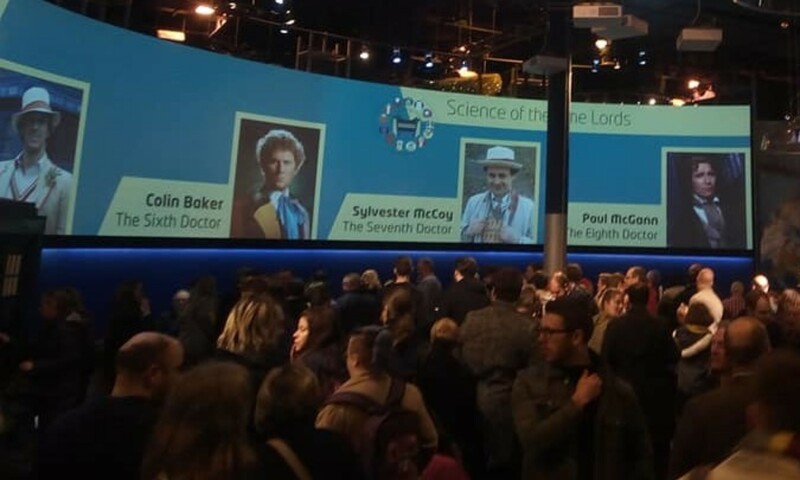 Blue is used for night, and degrees of yellow are used for daytime or internally-lit scenes (the best being a moment where a darkened room is entered by someone with a candle, and it switches from blue to yellow. This also makes sense of scenes that, previously, seemed to have Orlok wandering around in the daytime, making his weakness to sunlight seem rather daft. The work that has been done on this new version is clear, and I found it a very different experience watching it in the cinema where my mind was far less able to wander. Previously, I’d thought of it as being a fairly straight retelling of Dracula, but this time, I found it more mythical, more operatic and more infused with a Germanic mythical quality that makes it feel more like a dark fairytale than anything else, and as a result, that bit more disturbing. This doesn’t mean that it’s without problems. While the new title cards mostly fit in well, the addition of a logo making clear that they’re not the originals distracts quite a bit – if this can be removed in the DVD/blu-ray, great. If not, it’s a distracting ident. Also, it looks as if they’ve used a typeface based on the handwritten fonts of the original. While that’s not a major issue, it introduces a uniformity that isn’t there otherwise. It becomes a little like reading lettering that’s been entirely done by typewriter rather than by hand in a comic book. This, combined with the ident means that each time these come on-screen, I felt a little dragged out of the experience. It was difficult to ignore. However, that’s pretty much the only major issue. It’s a very respectful version of a beautiful piece of film history, that’s well worth taking the effort to watch carefully. If you watch it at home, turn the lights off and immerse yourself in it. There’s a lot there to appreciate, and this latest version will allow you to appreciate it all the more. 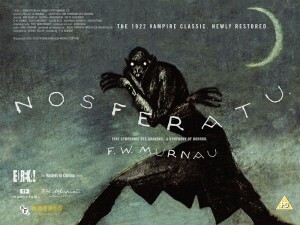 Over 90 years after it came out, Nosferatu still haunts. This new version of The Wicker Man only makes slight changes. However, it’s the most complete version of the film that exists currently, and if you’ve only ever seen the original theatrical release (the one most regularly shown on TV), you’ll be astonished just how butchered it was. The fact that the theatrical release is still a superb film is testament to just how good a movie it is. As a result, a more complete version is something to celebrate. 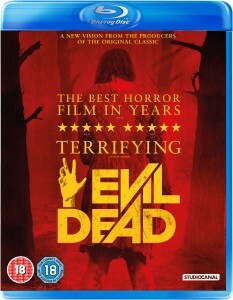 If you’ve already got the Director’s Cut, then it’s debatable whether this adds enough to justify another purchase. The changes are minor, but they’re all improvements. The basic story remains the same – uptight Sergeant Howie goes to a remote island to search for a missing girl, and uncovers a disturbing conspiracy. The main changes are that it makes more clear that the action takes place within a defined timeframe – just three days. This may not seem important, but it adds a sense of Sergeant Howie’s exhaustion, which gives an extra element to Edward Woodward’s performance. With these changes on top of the director’s cut that already exists, it just helps everything hang together that bit better. Here’s an example of how it improves it – one of the most famous scenes in the movie is the one where Britt Ekland’s Willow dances naked in an attempt to seduce Howie. With each version of the movie that comes out, this scene makes more sense. The placing makes more sense (with the movement to the second night, and the insertion of an earlier scene which shows Willow being brought a boy to deflower), and even the layout of the rooms makes more sense (as external shots show the way the rooms are next to each other, which means that when she’s making noises against the wall, it’s clearly on the other side of the wall of Howie’s room – without it, there’s a disconnection, and it looks like they’re against different walls). It’s not something that everyone will notice, but it’s clear how much was sacrificed for the theatrical cut. It has to be said that the drop in quality of the recovered footage is noticable, so if it’s the kind of thing that’s likely to bother you, you may want to skip it. But the extra texture that these scenes add to the story means that it isn’t as much of an issue as it could be (and it’s not the fault of the restorers – this is, realistically, as high quality as was possible, and it’s obviously been done with great care). On top of the theatrical release, it’s also worth seeing for far more of Christopher Lee’s Lord Summerisle, which is his favourite of his own performances. And he’s right – it’s one of the most subtle, nuanced performances he’s ever given, and he’s both charming and sinister. It’s a bonus to get more of him in the film. 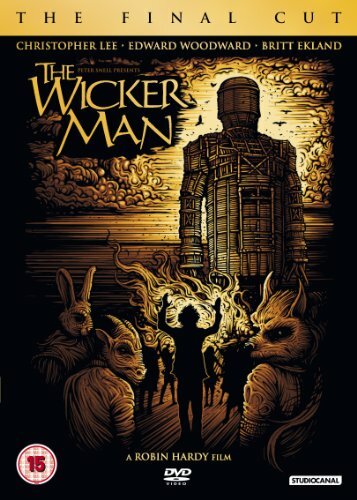 Along with the new release, The Wicker Man is being re-released across the UK in cinemas, and if you haven’t seen it on the big screen, it’s worth taking the time to do so. It’s a beautiful looking movie, and it’s a rewarding way to watch it. To put it simply, The Wicker Man is one of the greatest films the UK has ever produced, and this was despite the fact the film-makers regularly described the most widely-seen version as a compromised one. The more you see of what was cut, the more you can understand why they feel like this. The more complete version adds more to the pacing, performances and texture of the movie. With a film this good, that’s worth taking the time to see. It’s the best version out there of a brilliant film. Five young people go to a cabin in the middle of the countryside. Once there, things start to get weird. Once they discover a book bound in human flesh, things become worse. Lethally so. 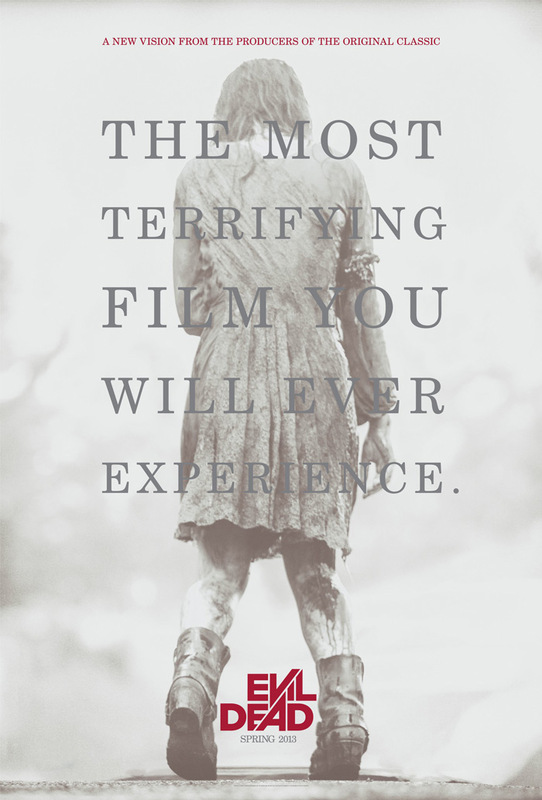 The Evil Dead series has always over-delivered. The big question going into the 2013 version is whether it’ll be able to do the same. Thankfully, it does. It’s a big ludicrous rollercoaster ride, which has all the signs of a big hit. As stupid movies go, it’s very smart. It takes the original movie and gives it a far more solid grounding, with far more believable character motivations. Why are they in the middle of nowhere? Because one of their group is trying to give up heroin. Why don’t they believe her when she undergoes insane experiences in the woods? Because she’s trying to give up heroin, and is likely to be lying, self-harming or delusionary. It also uses the demonic book to good effect, by using it to show you exactly what’s going to happen to certain characters, which means that you start anticipating it more when you watch it. This gives a different tone than the all-too-common ‘jump shots’. They’re still there, obviously, but the variety is nice. Also, it isn’t a straight remake. There’s an intentional feeling with this that these experiences have happened to people here before, much as there was in the original. “You will die, like the other before you”. Very smartly, there’s no Ash in this film. There’s a character that could be like Ash, but the simple fact that they’re not recasting the most central character in the franchise means that all bets are off when it comes to the well-being of any of the characters. A certain scene involving trees (which will be familiar to fans of the original) is there, but it feels less gratuitous and more justified in terms of plot development. Also, there’s an extra element involved that means that, while it’s still unpleasant, it isn’t quite as unpleasant to women as the original was. The original scene feels somewhat leering, which this one mostly avoids, which is a definite improvement. This isn’t to say that there aren’t problems. There are major problems with it, but the overall enthusiasm of the movie means that they’re not the issue they would otherwise be. The most obvious one is that the cast are fairly dislikeable for the most part. In the original film, the characters were less well-defined, but there was the definite idea that they liked and cared about each other. Also, there’s the point that Bruce Campbell is a difficult person to recast. He carries an innate likeability and trustworthiness, combined with a manic energy, that none of the cast in this film are able to replicate, which means that there’s a lot of heart missing from the movie. 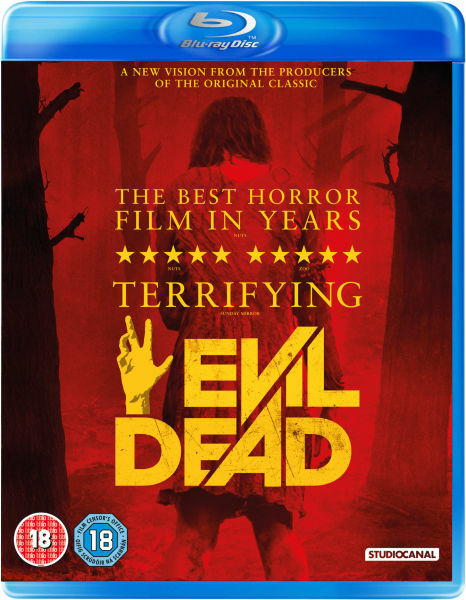 There’s the issue that for quite a lot of The Evil Dead, it appears that the central message of the film is “women: not useful in a crisis!”. Thankfully, this doesn’t end up being as bad as it appears, but there are long stretches where this seemed to be the case, which made for uncomfortable viewing. Rewatching the original, this is more of an issue there, but it makes a lot of the new version awkward at times. It’s extremely well shot, and learning that there was an intentional attempt to use as little CGI as possible makes it all the more impressive. The sound is also an important aspect, as it is with most horror films, and it’s very well handled here (interestingly, Bruce Campbell was involved with the sound, primarily in finding sound to use from the original film). It’s an astoundingly assured feature debut from Director Fede Alvarez, and he’s done particularly well in updating a well-loved film. The amount of gore and sheer exhuberation in displaying it means that this is going to be fairly heavy going for a lot of audiences, but I think this is going to lead to it being more popular amongst audiences. 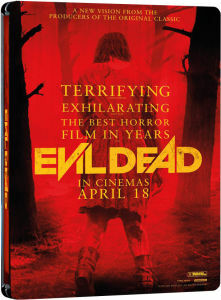 It’s the first horror film in quite a long time that I could see people talking about in a ‘you’ve got to see this’ sense. Overall, it navigates its flaws and challenges with flair, and delivers a wildly entertaining horror movie, if not as likeable as the original. 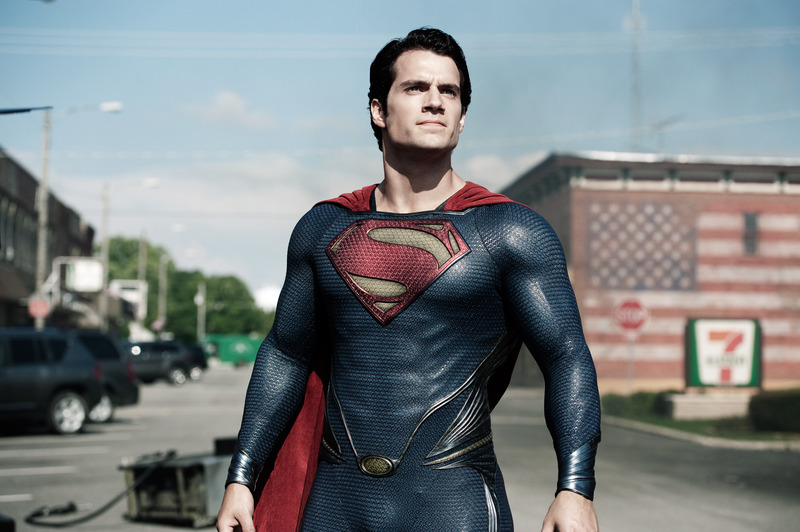 While it’s easily the best Superman film in the last 34 years, Man of Steel could put off some longer-term fans due to playing fast and loose with what they may be expecting. Which is particularly interesting coming from Zack Snyder, whose Watchmen movie suffered from trying to stick too closely to the source material. The film constantly raises and subverts your expectations, and as a result, at times, feels like a sequel rather than a reboot, as it deals with storyline points you wouldn’t normally expect from a film that also has to act as an origin story. As a result, the film hits the ground moving and barely stops for breath. Disconcertingly, this means that it feels partially like Casino Royale (in slowly establishing the important elements of the character, until we finally get the recognisable and complete character) and partially like Star Trek Into Darkness (in having lots of action, with not much time to let anything settle). There are brave story choices here, which means that you’re going to have to drop your preconceptions of what you’re looking for from a Superman movie. This may well be partially a reaction to both Watchmen and Superman Returns, both of which were overly reverent. It’s a film about trust and faith. Now, this is where it departs from this reviewer’s usual reasons for liking Superman. The main thing I like about Superman is that he aspires to be human. Clark Kent is someone he desperately wants to be, and he sees a potential in us to be more magnificent than he can ever be. This film doesn’t have that – he is repeatedly told as he’s growing up that he’s better and more important than the rest of us. But, the film pulls it off, by turning it into a theme where Kal El desperately wants to trust us, and for us to trust him. In the moments where this works, it works magnificently. At the moments where it doesn’t work, it feels like the tagline for the movie could be “Super-Jesus is here to save us!”. But it’s more the former than the latter. This is due, in no small part, to Henry Cavill. He inhabits the role of Superman more completely than any actor has inhabited a superhero role since Robert Downey Jr’s Iron Man. It’s also due to Zack Snyder, who has often felt like he was all about the visual over the heart, but here delivers a film with a solid emotional core. This is backed by Hans Zimmer’s score, which is generally beautiful, if possibly not quite iconic (although it may be a grower, much like his Batman scores). This doesn’t mean there aren’t problems. Amy Adams is as watchable as ever, but she didn’t quite feel like Lois Lane. And this is important, considering that Lois Lane is one of the most iconic fictional women of the 20th Century, and not just in comic books. In early scenes, she’s tracking down this mysterious man, and it feels like, in an early draft, she was the viewpoint of the audience, and her journey would be our introduction to the character. But somewhere, it was decided that we needed to balance this with the origin of the character, which means that it doesn’t work quite as well. She’s good (it’s Amy Adams – you don’t need me to tell you that she’s good), but it didn’t feel like she lives and breathes the role quite as well as Cavill does. Richard Schiff is, likewise, as watchable as ever, but he’s given a rather thankless role. The same with Laurence Fishbourne. In places, it feels like casting great actors has been used as a replacement for writing great characters. And be warned – you may get sick of Russell Crowe. He’s in it a lot. Also, while there’s a scene that shows that buildings are being evacuated, it’s impossible to ignore the fact that, realistically, a lot of people die in this movie. A lot of people. Like, 9/11 level. And the film plays up that association. It’s uncomfortable at times, although it’s also fair to say that it doesn’t flinch from showing the devastation two super-powered beings fighting in a major city would cause. If this is the start of the new DC movie universe, and if it is indeed the first step towards a Justice League movie, it’s an exciting one. Overall, it’s a bold movie which is exciting to watch, suprisingly dark in places, but centres around hope and love. It’s a fitting 75th birthday present to Superman – updating him, and allowing a lot of people to love him again. Told entirely from the point of view of a crazed serial killer, a young man kills women and scalps them in order to add to his collection. Maniac has benefitted from a very strong poster, and being picked up for contention in various awards. It’s created some buzz that this remake of the 1980s slasher of the same name is actually something new and interesting, even innovative. Sadly, it isn’t. It almost is, but it ends up delivering relatively little of interest. Elijah Wood performs strongly, and the direction is done well enough that we get the character even despite the lack of screen time for Wood. 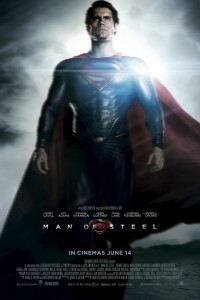 It looks good throughout, and the special effects are very well done. There are a couple of moments of genuine tension as well. However, there are fundamental flaws – not the least of which is the wholesale ignorance of CCTV. There’s a scene where Wood follows a girl from the Subway up through the large station, into the streets and into a car-park. It’s established that this is fairly close to the city centre as well. She’s aware he’s following her, and she’s screaming constantly. And it’s not that late either. Somehow, they don’t pass another person. It’s a long scene, too. It would appear that she’s running away from him for a good five minutes. I actually thought that it was going to turn out to be a fantasy sequence or something, but it isn’t. It’s just badly done. This happens again and again. He’s the least subtle serial killer in a supposedly realistic stalk/slash movie I’ve ever seen. It’s a problem because it’s an update of an ‘80s movie, not a period piece. This should absolutely be taken into account, but the film hasn’t bothered doing so. It’s a flaw in the scripting which is a consistent problem thoughout the film. It doesn’t help that it has some difficult portrayals of women throughout. They are very much there to be victims, to look pretty and to show their breasts for the most part. And, to be fair to the film-makers, none of them could complain that they haven’t been made to look good – it’s a very well shot film. But all the female roles are paper-thin, which is unfortunate, since they seem to have got some good actresses to play the parts. There’s also the problem that Elijah Wood is somewhat miscast, although he is working hard in it. The scene mentioned above where he stalks the woman shows why. The victim is a dancer/gymnast, who is first shown doing some ribbon suspension work that suggests that she must be in phenomenal shape. And yet she runs in terror from Frodo. And she’s not the only one. You can’t cast someone as being utterly terrifying and also cast them as someone who is mocked for being short, slight and assumed to be gay. Unassuming and terrifying is a difficult combination. At times, it seems that serial murder is being played as an addiction. And it flirts with getting interesting when it does this. It also goes into the delusions the main character faces, and again, at times, flirts with being something new. But it ends up being rather unsatisfying. It’s unfortunate, because it’s fairly well done, but defeated by its own lack of structure, believability and consistent tone. It’s an unpleasant, somewhat misogynistic film, but it almost does something really interesting in putting us in the killer’s point of view. It does have something of a voyeuristic thrill, but it never feels like it looks back at us and challenges us. There are three films that have done this better, and one of them isn’t even a horror film. Henry: Portrait of a Serial Killer, American Psycho and the more recent Shame all deal with addiction and attitudes towards women in a far more interesting way, and all of them keep the main character front and centre in a similar way. It may well be that I’ve overestimated the intentions of this film, but if that’s the case, they’re mis-selling it as something new and innovative, when it’s actually just a fairly well-made remake. Stallone. Statham. Schwarzenegger. Willis. Van Damme. Norris. Lundgren. Li. Crews. Couture. Somewhere, Steven Segal is sitting looking at his phone, still waiting for it to ring. The Expendables 2 is a deeply, deeply stupid movie in which any problem that cannot be solved with a gun can be solved by using a bigger gun. It’s also a very smart movie, that uses the fact that you already know what the movie is going to be and delivers it. I’m going to mostly avoid spoilers, however the movie is as predictable as the McBain films from The Simpsons. The character who, twenty minutes in, you just know is going to die at some point? Yeah, of course they die. Because it’s that kind of movie. And you know it’s going to happen pretty much the first time you see them. 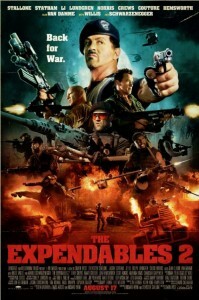 But that’s fine, because what The Expendables 2 is selling is predictability. If you’ve seen the first movie, you’ve more or less seen this one. Some bad guys take over a place, and Sylvester Stallone, Jason Statham, Bruce Willis and…well, lots and lots of action stars commit unspeakable acts of violence until everything is okay again. The main difference between this one and the last is that they’ve stopped even pretending to be taking it seriously. Any of the ‘dark’ scenes are done with tongue planted so firmly in cheek that they were getting some of the biggest laughs in the audience. It’s a film in which even the vehicles appear to have tattoos with phrases like ‘Lock and Load’ on them. It’s a film in which, as seen in the trailer, two major action stars get into a small electric car and fire machine guns out of the windows. It’s a film in which Jean Claude Van Damme kicks a knife into someone. We also get to learn a little more about some of the characters, and the same easy charm continues from the last film. The stuff we learn doesn’t really mean anything, but that’s not important. The biggest trick they really use is to use what we know about the actors as a short-hand for character. Stallone plays Stallone. Arnie plays Arnie. Chuck Norris plays Chuck Norris, along with jokes about Chuck Norris Facts. Dolph Lundgren plays Dolph Lundgren, even to the point of making jokes about his chemical engineering qualifications. Is it a good movie? No, not at all. It’s stilted, it’s predictable and it’s deeply stupid and bordering on sexist. But is it fun? Yes. It’s a lot of fun, in exactly the same way as the McBain movies are. Imagine a film-length version of them, except with many more film actors other than an Arnie character. Then you’ve basically got The Expendables. Nobody is going to see this expecting it to be anything other than what it is. And in terms of delivering what you expect, it succeeds perfectly. The opening scene is more over the top than anything from the previous movie. And there’s a lot of meta-humour going on. And the violence is dealt out in an entertaining way, and the new cast members mesh well with the returning ones. So, if you liked the first one, this is more of the same. If you didn’t, it’s silly enough that you may prefer it, but it’s probably going to annoy you in the same way. There’s a moment in The Dark Knight which not only feels like a really good comic book scene, but actually transcends it, and becomes better than most of the Batman comics there have been. It’s when The Joker visits Harvey Dent at his hospital bed, and says just the right things to take advantage of Harvey’s broken mind. Everything about that scene is great for long-time fans, not least because of the way it uses well-known characters, but actually reinvents them and ties their fates together. There are a few scenes like that in The Dark Knight Rises, and this sets it apart from most comic book movies. With most, there’s a sense that if they manage to come pretty close to the comic book at some point, that’s a good thing. One of the most impressive things about Christopher Nolan’s trilogy is that no matter how grittily he portrays the characters, tech and locations, it never loses sight of what’s been best about the comic books themselves. This movie draws mostly from the mid-late nineties run, with elements of the ‘Knightfall’ story as well as a lot of ‘No Man’s Land’. But, more so than the comics themselves for 95% of the time, the film deals with consequences. Following the end of the previous movie, Bruce has effectively retired, his body shattered from the accumulated damage of crime-fighting and his reputation even more so. In some ways, he’s looking to return, but in other ways, he’s given up. One of the reasons he can’t ignore the events that take place in this film, though, is that in a direct way, he’s responsible for what’s happening. Again, the events of the first two films aren’t just distant memories – they directly inform what’s happening in this one. This allows for a larger scope to be taken with Batman than has really been taken before – there’s not much need to introduce characters, as we already know the main ones. This frees Nolan up to push the character into somewhat unexplored territory (certainly filmically, and for most of the comics history as well). This also means that Christian Bale is front-and-centre in this movie, with more interesting things to do than he’s had in a while. Anyone who has seen The Machinist knows that Bale can play withdrawn and haunted like few others, and he plays Bruce as such a recluse in the early parts of the film that it’s difficult to see how he can end up donning the costume again. Tom Hardy plays Bane as Batman’s threatening shadow, with a huge arrogance to go along with his brutality. He’s bordering on camp at times, but is a hugely fun villain, if (and stop me if you’ve heard this one) somewhat incomprehensible at times. Meanwhile, Anne Hathaway wins over a huge amount of her nay-sayers with a confident, winning performance, which combines sexiness with pragmatism. The slow build to her appearance in full costume means that the character never feels as ludicrous as she really should – a trick that Nolan also used with Batman in the first film. Joseph Gordon-Levitt continues his slow climb towards the a-list, with a strong performance in a role that gets a lot to do, but never feels completely fleshed out. Marion Cotillard is charismatic, but probably would have benefitted from more screen-time to flesh out her character. Meanwhile, if you liked Gary Oldman and Michael Caine in the first two films, you’re probably going to like them here. Caine gets to be emotional, and Oldman gets to be angry and frustrated, and otherwise, they’re continuing doing what they’ve been doing so far in the series. The film looks amazing, as is to be expected from a movie from Christopher Nolan (especially with Wally Pfister behind the camera), and while Hans Zimmer’s score can be a little overbearing at times, it continues the huge quality of the series so far. This isn’t to say that the film doesn’t have its flaws. There are continuity issues and plot points that it seems jaw-dropping that they’ve been missed. There are actions that happen purely to advance the plot, and there are a couple of scenes that end up feeling like a cop-out. However, your mileage will vary on this. You may find that the flaws in it irritate you too much, or you may find they’re something you barely notice. For this reviewer, there’s a scene involving a trial that perfectly displays the kind of comic book movie that nobody thought we’d ever get. And this means that the positives outweigh the negatives completely, and while the flaws irritate, they don’t destroy.